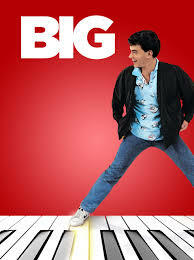 We are showing the classic Tom Hanks film “BIG” at 7pm for our last Saturday of the month Dinner and a movie with special cocktails crafted with inspiration from the film. We are switching up Game Night! 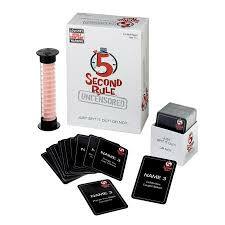 This month we will be playing the hilariously fun “5 Second Rule Uncensored”! There will be $3 appropriately inappropriate shots. Late night Happy Hour begins at 9pm and runs till close with $3 bottled beers, $3 well cocktails, $4 Draft Beers and $5 select red and white wines. Come join us for an inappropriate good time. 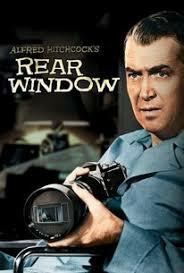 We are showing the classic Alfred Hitchcock’s “Rear Window” at 7pm for our last Saturday of the month Dinner and a movie with special cocktails crafted with inspiration from the film. "She's not in love with him, or any of them." "How can you tell from here?" "You said it resembled my apartment, didn't you?" Since the North Albany Parade ends right in front of our building we have a tradition of opening early at 11 am for a full bar with drink specials ($3 bottled beer, well cocktails, $4 drafts & $3 Jameson Shots) and Chef Chris prepares his delicious Corned Beef Sandwich, Corned Beef with Cabbage and House Ground Ribeye Shepherd’s Pie. We have so enjoyed our late night games of Cards Against Humanity but will be changing it up to a different game next month so this is the last month we will be playing Cards for a spell. There will be $3 appropriately inappropriate shots. Late night Happy Hour begins at 9pm and runs till close with $3 bottled beers, $3 well cocktails, $4 Draft Beers and $5 select red and white wines. Come join us for an inappropriate good time. In the long honored tradition of Louisiana We will be throwing a Mardi Gras Masquerade Ball! Come dressed to the nines with a festive mask Saturday March 2nd from 5-close. Complete with Live music featuring the very talented Uptown Dance Band from 7:30-9:30 and Late night DJ Dance Party and Karaoke starting at 10! Cocktail specials, and Chef Chris will be whipping up Cajun Specials. And, of course, beads for everyone! 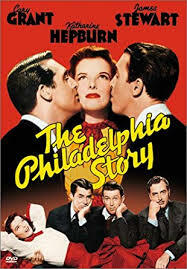 Last Saturday Dinner & a Movie featuring “The Philadelphia Story” Saturday February 23rd 7 pm. We are showing the classic “The Philadelphia Story” at 7pm for our last Saturday of the month Dinner and a movie with special cocktails crafted with inspiration from the film. Macauley Connor: Champagne's funny stuff. I'm used to whisky. Whiskey is a slap on the back and champagne's heavy mist before my eyes. We are now accepting reservations for Valentine’s Day. Candle Lit dinner with complimentary roses for the first 25 guests. There will be live music with the vocal stylings of Jeanine Ouderkirk 6-9. The bar will be featuring specials on Champagne, Prosecco and Moscato. Chef Chris has cooked up some delicious specials! * Date Night specials will not be offered this evening since it is a holiday. We have so enjoyed our late night games of Cards Against Humanity. There will be prizes as well as $3 appropriately inappropriate shots. Late night Happy Hour begins at 9pm and runs till close with $3 bottled beers, $3 well cocktails, $4 Draft Beers and $5 select red and white wines. Come join us for an inappropriate good time. 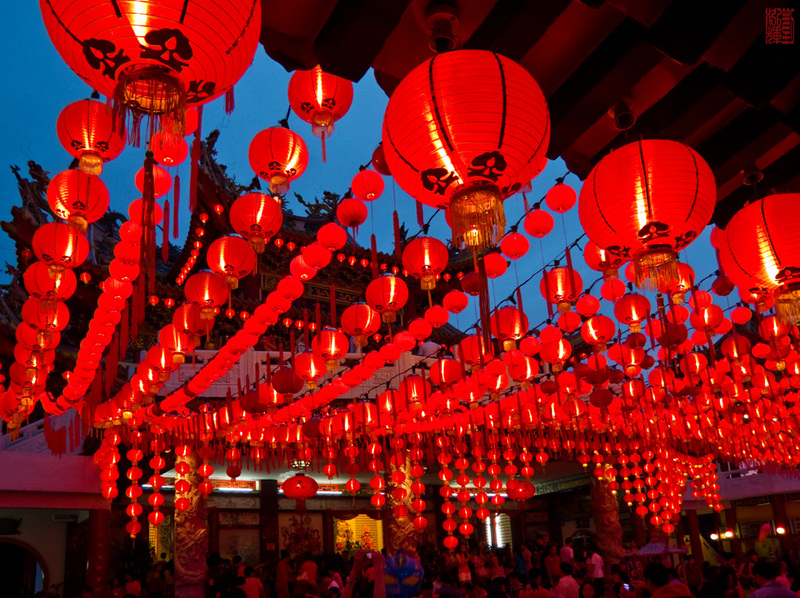 We will be hosting a Chinese New Year Party this year complete with Red lanterns, live entertainment by 7th Squeeze , Special Chinese Offerings from Chef Chris’ Grandfather’s Cookbook - yes he is both Chinese and Italian. A special Drink Menu as well. Come ring in the Year of the Pig Chinese NewYear. This is going to be a blast we are so excited to be pairing up with Radio X for this event! The music and the outfits are going to be everything! There will be a crowning as well as awesome raffles. Tickets are on sale now at IL FARO $60 per couple or $40 individual. It is by ticket only. Tickets will NOT be sold the day of at the door. We have so enjoyed our late night games of Cards Against Humanity. December’s guest host is one of my favorites Jeffrey Decatur. There will be prizes as well as $3 appropriately inappropriate shots. Late night Happy Hour begins at 9pm and runs till close with $3 bottled beers, $3 well cocktails, $4 Draft Beers and $5 select red and white wines. Come join us for an inappropriate good time. Monday December 31st Ring in the New Year early and late with us! Come enjoy an evening of live music and a complimentary Champagne Toast at 9pm and at Midnight. Chef Chris has created a delicious 3 course prix fixe menu just for the evening. The full menu will also be available. It is the last night before New Years Resolutions begin… Do it up right… New Years Eve fills up quickly so be sure to reserve online or by phone. 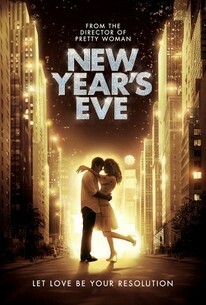 We will be watching “New Years Eve” on the cement wall in the dining room and on one of the TVs in the bar with special cocktails starting @ 7pm. Monday December 24th Celebrate Christmas Eve Italian Style with Our Annual Feast of 7 Fishes @ 7pm. We will be offering The Feast of the 7 Fishes - a Seven Course Tasting Menu at 7pm. Dinner has one seating and is by reservation only so please call or book online. Chef Chris has created a delicious menu with my hand in the wine pairing. We are also offering a limited menu this year with options for those looking for an alternative. Please join us and enjoy the Soulful Vocal Stylings of Jeanine Ouderkirk Duo. Annual Pictures with Santa, Stop in and take a complimentary Picture with the Best Santa Saturday December 15th from 5-6pm. What is easier than taking a beautiful photo with Santa and sitting down for a nice dinner all in one stop? We thought we’d help consolidate your errands. Join us Saturday December 15th from 5-6 for complimentary pictures with Santa! All ages are welcome! Become an IL FARO ANGEL - All month long we will be collecting unwrapped children’s and adolescents’ scarves, hats, gloves and coats to donate to Sacred Heart - in exchange for a beautiful collectable ornament. 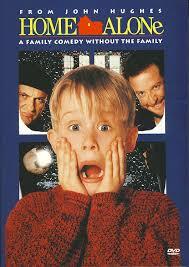 We will be watching “Home Alone” on the cement wall in the dining room and on one of the TVs in the bar with special cocktails starting @ 7pm. Saturday November 10th from 5pm-close. Wednesday November 14th from 6-8 We will be hosting a paint and sip put on by GCAR as a fundraiser to fight for Homeownership Rights and Keeping Property Taxes Low. The Very Talented Kim Tateo will be teaching everyone how to paint winter scenes on wine glasses. It is $35 per person and includes light appetizers, wine, beer and cocktails are available for purchase and the full menu is available to order from. Please RSVP with payment by Tuesday November 6th by email or calling (518) 463 -2208. We have so enjoyed our late night games of Cards Against Humanity. September’s guest host is one of my favorites Jeffrey Decatur. There will be prizes as well as $3 appropriately inappropriate shots. Late night Happy Hour begins at 9pm and runs till close with $3 bottled beers, $3 well cocktails, $4 Draft Beers and $5 select red and white wines. Come join us for an inappropriate good time. To celebrate Halloween we will be having a late night dance party with our favorite DJ Sal Graziano and Karaoke with a costume contest! Fun Prizes not to be missed! We will be watching the “Addams Family” on the cement wall in the dining room and on one of the TVs in the bar with special cocktails. Join us in celebrating our 3rd Anniversary - We couldn’t be celebrating without you!!! Friday October 19th starting at 5pm. We will have a tap takeover by Remarkable Liquids with a Craft Beer Tasting, Wine Tasting, Live Music from The 7th Squeeze, Awesome cocktail specials, A drawing with some of our favorite things and late night dance party and DJ featuring the ever awesome Sal Graziano starting at 10:30. 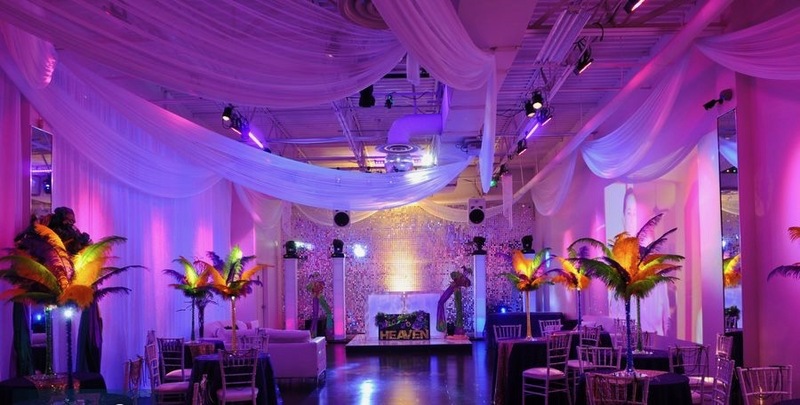 These anniversary parties book up early so make sure and make a reservation if you plan on attending. We have so enjoyed our late night games of Cards Against Humanity. September’s guest hosts are two of my favorites Linda and Kristen. There will be prizes as well as $3 appropriately inappropriate shots. Late night Happy Hour begins at 9pm and runs till close with $3 bottled beers, $3 well cocktails, $4 Draft Beers and $5 select red and white wines. Come join us for an inappropriate good time. Forget buying a pumpkin, carving tools and the mess! Come and have fun carving pumpkins with Chris! We will supply the pumpkin, carving tools, assistance, roast the pumpkin seeds for you to bring home and clean up the mess after:) The bar will be open with hot cider for the kids and full bar and cocktails for the adults:) The more the merrier but must RSVP by phone or email by Thursday October 4th so we have enough pumpkins! There is still space and no age limits we would love to have you! We will be watching “The Maltese Falcon” on the Cement Wall and at the bar with Dinner Specials and Cocktails crafted around the film. Join us for a delicious and entertaining evening. We will be celebrating the first Day of Fall with an Autumn’s Premier Party Saturday September 22nd with live music from Upstate Dance Band, late night dance party and karaoke by the very fun Sal Graziano! So come out with your dancing shoes on! Join us Thursday September 20th for the Third Thursday Jam Session with the very talented 7th Squeeze from 5-8. We have so enjoyed our late night games of Cards Against Humanity. September’s guest hosts are two of our funniest favorites Lindsay Clark and Jason Carnegie. They will continue with more shenanigans than I could share I am sure. There will be prizes as well as $3 appropriately inappropriate shots. Late night Happy Hour begins at 9pm and runs till close with $3 bottled beers, $3 well cocktails, $4 Draft Beers and $5 select red and white wines. Come join us for an inappropriate good time. We will be watching “Ratatouille” on the Cement Wall and at the bar with Dinner Specials and Cocktails crafted around the film. Join us for a delicious and entertaining evening. We have so enjoyed our late night games of Cards Against Humanity They will continue with more shenanigans than I could share I am sure. There will be prizes as well as $3 appropriately inappropriate shots. Late night Happy Hour begins at 9pm and runs till close with $3 bottled beers, $3 well cocktails, $4 Draft Beers and $5 select red and white wines. Come join us for an inappropriate good time. 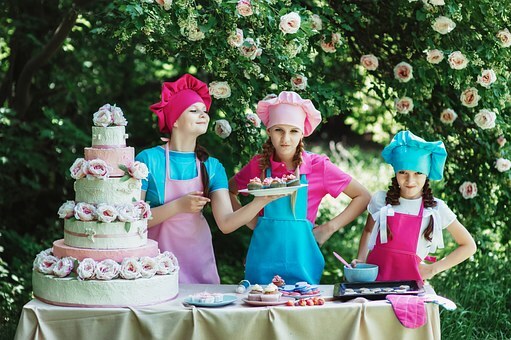 Every Wednesday in July at 12:30 Chef Chris will be cooking with kids….Ages 3 and up welcome. $10 per child or $25 for all 3 Saturdays - learn how to prepare a different meal each week with Chef Chris at IL FARO restaurant & bar. Call (518) 463-2208 or email ILFAROrestaurantandbar@gmail.com to reserve! We will be watching “The Sandlot” on the Cement Wall and at the bar with Dinner Specials and Cocktails crafted around the film. Join us for a delicious and entertaining evening. Join us for awesome music and Happy Hour from 3-7 $3 Well Cocktails, $3 Bottled beer, $4 All Drafts, $5 Pinot Grigio and Chianti - $5 Small Bites on the Patio and At the Bar. We are so excited to celebrate Christmas in July with awesome drink specials, Christmas movies on the wall and in the bar, Live Music and Late night DJ and Karaoke. Wear your best Christmas in July outfit - Ugly Christmas Sweater, Summer Santa Suit, Elf, Ugly Christmas t-shirt, etc and win prizes! Saturday JUne 30th 7:00 Dinner and a movie featuring "SOme Like it hot"
We will be watching “Some Like it Hot” on the Cement Wall and at the bar with Dinner Specials and Cocktails crafted around the film. Join us for a delicious and entertaining evening. We will be celebrating Summer Solstice with $2 off all Summer Cocktails from the Summer Cocktail list, Happy Hour drinks all night long ($3 bottled beer, $3 well cocktails, $4 Tap Beers, $5 Chianti and $5 Pinot Grigio), live music and a late night DJ Dance Party and Karaoke. Come celebrate Summer with us! Join us thursday from 5-8 ENJOYING the incredibly talented Seventh Squeeze performing live! Cinco de mayo party Saturday May 5th starting at 5pm! 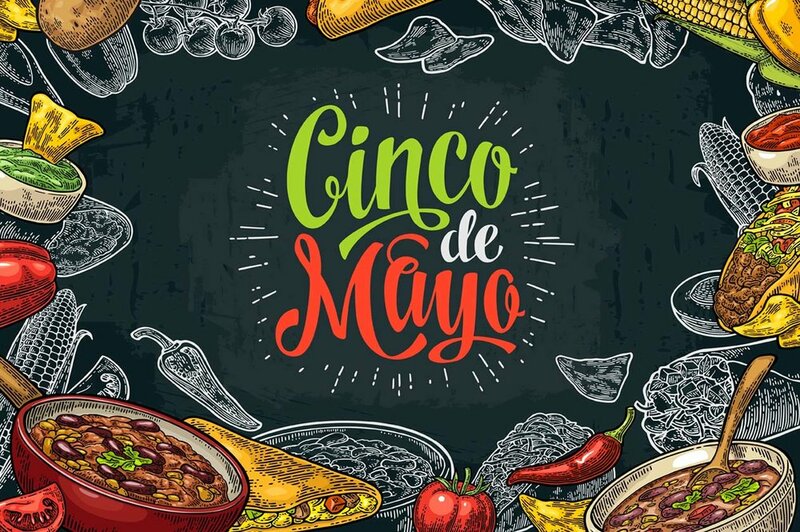 Join us Saturday May 5th for our annual Cinco de Mayo Party with Steak Chimichurri & Stuffed Poblanos as well as $5 Margarita Specials, $3 Corona and Corona Light and $3 shots of Tequila. We will have live music to really start the night off right 5-8 and Karaoke 10-midnight. We will be watching “To Catch a Thief” on the Cement Wall and at the bar with Dinner Specials and Cocktails crafted around the film. Join us for a simply wonderful time enjoying the gorgeous Grace Kelly and Charming Cary Grant in one of Hitchcocks best. Francie: “I've never caught a jewel thief before. It's stimulating. It's like…"
We will be watching Breakfast at Tiffany's on the Cement Wall with Dinner Specials and Cocktails crafted around the film. Join us for a simply wonderful time “dahling” Last month’s Casablanca booked up quickly so make sure you get your spot in advance. I have since addressed the sound so this month will be much clearer sound with it showing at the bar as well! Friday February 16th 3pm-close: Year of the Dog Chinese New Year Party! We will be hosting a Chinese New Year Party this year complete with Sparklers, Red lanterns, live entertainment by the very talented Stephanie Robinson and Azam Hameed from 8pm-11pm, Special Chinese Offerings from Chef Chris’ Grandfather’s Cookbook - yes he is both Chinese and Italian. A special Drink Menu as well. Come ring in the Year of the Dog Chinese New Year. We are now accepting reservations for Valentine’s Day. Candle Lit dinner with complimentary roses for the first 25 guests. There will be live music with the vocal stylings of Jeanine Ouderkirk and guitarist Kevin Grudecki from 7-9. The bar will be featuring specials on Prosecco and Moscato. Chef Chris has will be offering delicious specials: Braised Short Rib with oven roasted fingerling potatoes and Asparagus & Saffron Cream Veal. Saturday February 10th 5pm-close: Mardi Gras Masquerade Party! In the long honored tradition of Louisiana We will be throwing a Mardi Gras Masquerade Ball! Come dressed to the nines with a festive mask Saturday February 10th from 5pm-close. Complete with Live music featuring the very talented “7th Squeeze” Nick Horace and Jesse Sample from 8-midnight, Cocktail specials, and Chef Chris will be whipping up Cajun Specials. And, of course, beads for everyone! We will be watching Casablanca on the Cement Wall with Dinner Specials and Cocktails crafted around the film. Going stir crazy with the weather, enjoy one of the best films of all time with us! Come enjoy an evening of La Dolce Vita New Years Party with Live Music and a Complimentary Champagne Toast at 9pm and Midnight. Chef Chris has created a delicious 3 Course Prix Fix Menu just for the Evening. This menu is posted under menus at the bottom. The Full menu will also be available. It is the last night before New Years Resolutions...Do it up right with us! Reservations are necessary call (518) 463-2208 or email ilfarorestaurantandbar@gmail.com to reserve your spot. Join us Christmas Eve for the Feast of 7 Fishes- a 7 course tasting menu with optional Wine Pairing. We will also be offering a limited Menu with options for those looking for an alternative. The menus are posted under the menu section of the website below the regular dinner menu. Reservations are necessary call (518) 463-2208 or email ilfarorestaurantandbar@gmail.com to reserve your spot. Join us Saturday December 16th at 1 for our Annual Gingerbread House Building and Pictures with Santa. $10 per house. 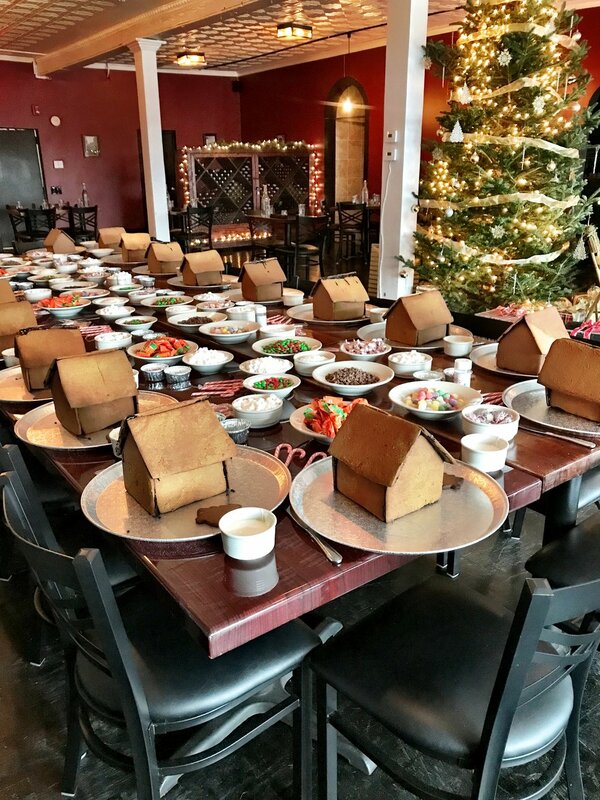 We are making fresh gingerbread for the houses so RSVP is necessary by December 9th call (518) 463-2208 or email ilfarorestaurantandbar@gmail.com to reserve your house. Date night begins every thursday starting Thursday december 7th! Join us every Thursday night for Date Night. We will offer a 3 course prix fix dinner for two for $45. Choose from a shared appetizer, 2 entrees and a shared dessert with two glasses of wine. Kale Cranberry Salad- kale, dried cranberries, goat cheese drizzled with balsamic honey vinaigrette. New Zealand Baby Lamb Chops Marsala- pan seared New Zealand Baby lamb chops served over wild mushroom risotto topped with creamy wild mushroom, rosemary, shallot marsala sauce. Roasted Chicken- half a lemon fresh herb chicken slow roasted served with oven roasted fingerling potatoes and string beans sautéed in garlic and olive oil. Raspberry Cream- fresh raspberries served with house made cream. Join us every Third Friday for a $5 Spirit Tasting with an Education on those Spirits and Stay for a Uniquely Crafted Paired Menu with those Spirits. November will feature 3 delicious Bourbons. Bring in your little trick or treaters for safe trick or treating all night at the bar. Shhhhh...we have the good stuff! 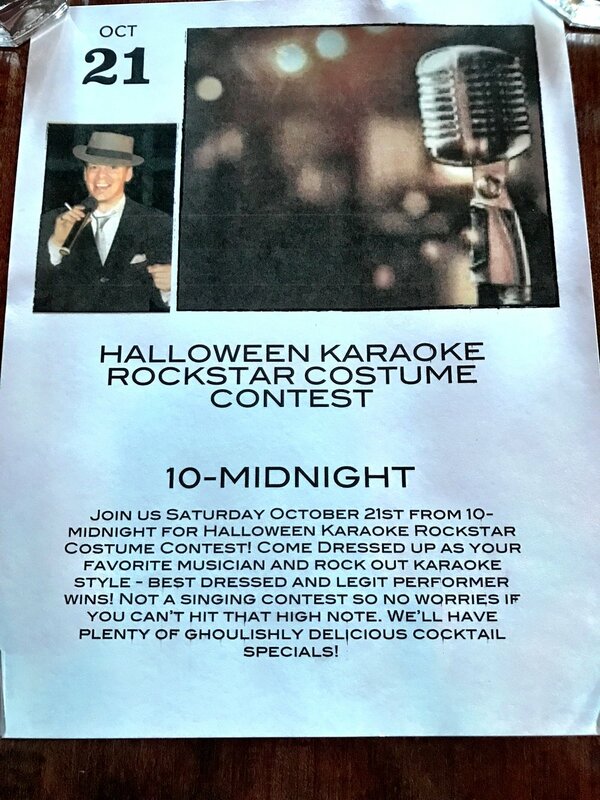 Join us Saturday October 21st from 10-midnight for Halloween Karaoke Rockstar Costume Contest! Come Dressed up as your favorite musician and rock out karaoke style - best dressed and legit performer wins! Not a singing contest so no worries if you can’t hit that high note. We’ll have plenty of ghoulishly delicious cocktail specials! 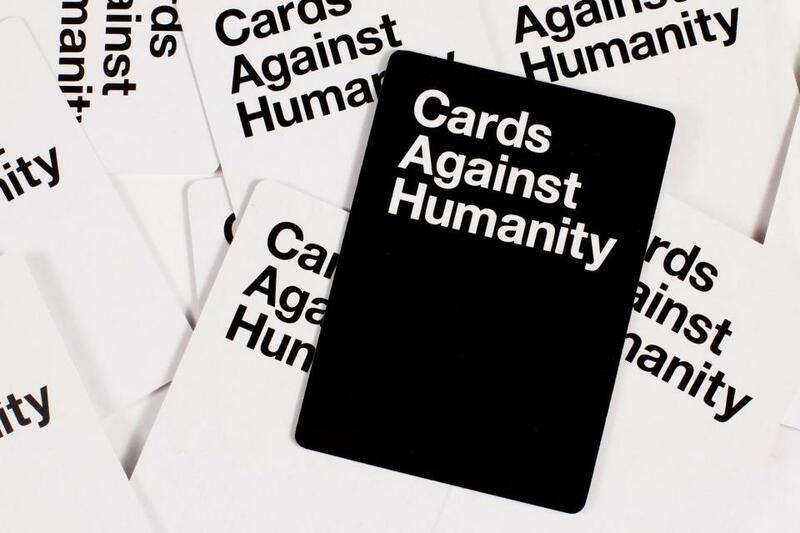 Join 106.1 the X and us as we turn Cards against Humanity into a Jeopardy Style Competition with prizes! Saturday October 14th 10pm-1am Whiskey HIGHWAY will be performing live! We are stoked to welcome Whiskey Highway to IL FARO for an awesome time from 10pm-1am with $3 Whiskey Shots, $3 Bottled Beer, $3 well cocktails, $4 draft beers and $5 chianti and pinot grigio! No Cover! Saturday September 30th 5-close 2 year anniversary bash! We are turning 2 years old!!! We can’t believe it and are so excited! Fundraiser for The Mohawk Humane Society and Yappy Hour! friends for Yappy Hour and good times! We are beyond excited to be chosen as the one place in Albany that Celebrity Chef Mario Rizzotti will be cooking and teaching with Chef Chris as part of his 4 the Love of Italian Food Tour! Mark your Calendars and call or email to reserve your spot Wednesday June 21st at 6:30. Limited seats available for this private event. Additional Spots are available for the pre-dinner Meet and Greet with Mario for an additional $20. Call (518) 463-2208 or email ILFAROrestaurantandbar@gâ€¦ to join us and get to meet and taste Mario Rizzotti's cooking!! Friday May 5th 5pm- Close CINCo de mayo party!!! Join us for: Live Music, Stuffed Poblanos, Fresh Pico de Gallo & Drink Specials! AND of course we'll have a Piñata!!! Saturday April 22nd 4pm-close: Welcome Back Baseball Party and Raffle! We will be opening early at 4pm with a full bar and specials: $3 bottled beers, $4 tap beers, $3 well cocktails and $5 Pinot Grigio and Chianti till 7pm. We will be playing both the Yankees and the Mets Games with Raffles including Baseball Garb, Tickets, and Cooperstown Special Edition etched by Abe Abner baseball Booze: A wonderful tribute to the inventor of baseball, Abner Doubleday, this unique, baseball shaped glass decanter perches atop a ball field shaped pedestal. A perfect replica of an actual baseball right down to the 108 stitches, Doubleday's actual signature is etched onto every hand blown bottle. It is filled with Cooperstown award winning white wheat vodka, Bourbon and Whiskey. Join IL FARO in Decorating Easter Eggs to Benefit Capital District Child Care Council’s Sprout Scouts Farm to Preschool program. $10 per child RSVP by Friday April 7th to ensure a spot. All proceeds benefit Sprout Scouts! We will open at 5pm for dinner with a portion of the evenings proceeds to benefit the Child Care Council's Sprout Scouts Farm to Preschool program. Bring yourself and we'll supply the eggs, dye and decorations as well as baskets to bring home your beautifully crafted eggs. All Ages welcome! Saturday March 11TH 11am-CLOSE St. Patricks Parade Party! The North Albany parade ends right in front of the restaurant! Come watch and celebrate. We will be opening early at 11am with a full bar open and specials: $3 bottled beers, $4 tap beers, $3 well cocktails and $5 Pinot Grigio and Chianti till 7pm. Get your 2017 souvenir cup with your first cocktail or beer while supplies last! Chef Chris will be serving his delicious 17 day brined Corned Beef Sandwiches and Corned Beef and Cabbage Platters from 11 am to 10pm with the full menu starting at 5pm. Saturday FEBRUARY 25TH 5PM-CLOSE Mardi Gras Party! In the long honored tradition of Louisiana We will be throwing a Mardi Gras Party Saturday February 25th from 5pm-close. Complete with the Upstate Dance Band, Late night DJ and Karaoke, Hurricane Drink Specials, and Chef Chris will be whipping up Cajun Specials: Crawfish Etoufee and Gumbo. And of course beads for everyone! 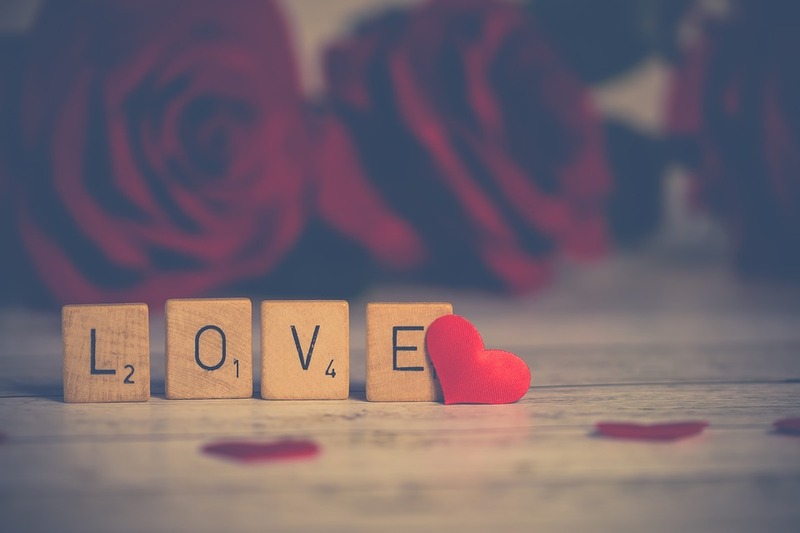 We are now accepting reservations for Valentine's Day! Candle lit dinner with roses for the first 50 guests. Special menu as well as the Full Menu available. Saturday January 28th 5pm-close CHINESE NEw YEar!! We will be hosting a Chinese New Year Party this year complete with Dragons, Sparklers, Red lanterns, live entertainment, Special Chinese Offerings from Chef Chris’ Grandfather’s Cookbook - yes he is both Chinese and Italian. A special Drink Menu as well. Come ring in the Year of the Rooster Chinese New Year. We will participatingagain in Albany’s Wine and Dine for the Arts. We will also be participating in the Inaugural Festival Week. That means that you may enjoy the special dish Chef Chris will be preparing for the Event anytime during the week Tuesday January 10th- Saturday January 14th during regular business hours. Our regular menu will also be available. Saturday December 31st Ring in the New Year early and late with us! Come enjoy an evening of live jazz and a complimentary Champagne Toast at 9pm and at Midnight. Chef Chris has created a delicious 3 course prix fix menu just for the evening. The full menu will also be available. It is the last night before New Years Resolutions begin…Do it up right..
SaturdayDecember 24th Celebrate Christmas Eve Italian Style with the Second Annual Feast of 7 Fishes. We will be offering The Feast of the 7 Fishes - a Seven Course Tasting Menu with 2 seatings. One at 6pm and at 8:30pm. Chef Chris has created a delicious menu with my hand in the wine pairing. We are also offering a limited menu this year with options for those looking for an alternative. Please join us and enjoy the Classic Vocal Stylings of Sal Graziano. We will be baking gingerbread and supplying all the trimmings - $10 per house and donations welcome to benefit the Southend Children’s Cafe. All Ages Welcome! You know I will be building one for sure! Become an IL FARO ANGEL - All month long we will be collecting unwrapped children and adolescents scarves, hats, gloves and coats to donate to the Women’s Shelter - in exchange for a beautiful collectable ornament. Dogs for Dogs Saturday October 22nd Noon-3pm! Chef Chris will be grilling outside at IL FARO noon- 3 with the bar open inside raising money for The Mohawk Humane Society! 10% of proceeds for the day will go to the Mohawk Humane Society as well as any donations that are given. Live Music and yummy food while the weather is perfect for being outside. Bring your four legged friends for photos and good times! The more the merrier but must RSVP by phone or email by Thursday October 13th so we have enough pumpkins! Join us to celebrate our first year! Happy Hour prices thoughout the restaurant and bar all night long. Amazing Dinner Specials including: House made Pumpkin Ravioli served with a Walnut Brown Butter Sage sauce and Fish Specials including Fresh Red Snapper. Every Wednesday in July at 3:30 Chef Chris will be cooking with kids….Ages 3 and up welcome. $10 per child or $30 for all 4 Wednesdays- learn how to prepare a different meal each week with Chef Chris at IL FARO restaurant & bar. Call (518) 463-2208 or email ILFAROrestaurantandbar@gmail.com to reserve! He is a 30-year-old news photographer who has had an interest in photography ever since he was a child. 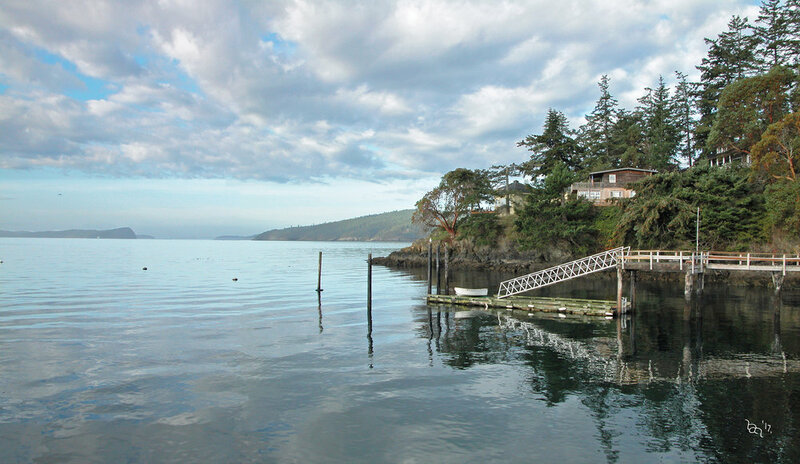 He has based most of his still photography to local area land marks and landscapes. Focusing on parts of Albany that still remain and capturing parts that have since dissapeared. He puts a distinctive view on every photo he takes. Friday March 1st 5-7 - We are excited to present Dana Sela as our local Artist for First Friday! Living in the Capital District for the past 15 years, Dana Sela creates paintings, drawings and one of a kind block prints from her converted barn studio. Her work reflects her love and great respect to the natural world around us. After graduating from SUNY Purchase with a BFA, Dana continued her studies at The College of Saint Rose where she received her Masters in Art Education. She has a passion for sharing her love and knowledge of art with others. Through art, Dana feels we can connect as humans, creating a more unified, peaceful and beautiful world. Friday February 1st 5-7 - We are thrilled to present James Rodewald as our local Artist for First Friday! James is a freelance nature photographer with over thirty years of experience in nature and landscape photography. Although the Southeastern Adirondacks are his current home, he has lived in various places across New York including the High Peaks and Finger Lakes regions and have traveled extensively throughout the United States. His work tends to focus upon places that are wild and untouched by development, often with no signs of humanity. Despite decades of experience he has recently only begun to offer his work to the public. This Fall he launched his new company Nature's Sake Photography, a socially responsible nature photography studio featuring his work. The core principle of this venture is a firm commitment that no less than 10% of the profit from all sales are donated to help fund the organizations that protect the land that was photographed. We are delighted to have our monthly First Friday Local Artist and Complimentary Wine Tasting 5 till 7 Friday January 4th Featuring Melissa Sgambelluri. Melissa Sgambelluri is an intuitive abstract artist who uses the sounds of music to inspire her work. Each piece is one of a kind and embodies a variety of color schemes and emotions. Melissa creates both her vision of abstracts and custom pieces. She believes that abstract art allows us to see the world as we want. Friday December 7th 5-7 - We are thrilled to present Joe Johnson as our local Artist for First Friday! We are delighted to have our monthly First Friday Local Artist and Complimentary Wine Tasting 5 till 7 Friday December 7th Featuring Joe Johnson. 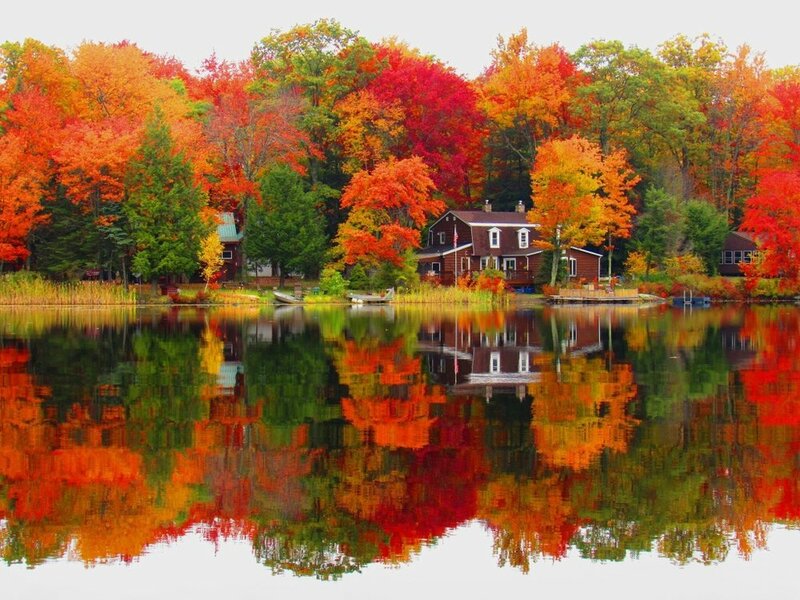 Joe Johnson is a local artist who's photography is centered around Crystal Lake and the Averill Park area. Along with photography Joe finds work doing Faux Painting and is currently working on a project in Saratoga. Come Meet and Enjoy the very talented Ashley Cooper’s Jewelry, Art and Home Decor November 2nd from 5-7 pm. We will be offering a complimentary Wine Tasting. Like a piece take it home with you that night! We are delighted to have our monthly First Friday Local Artist and Complimentary Wine Tasting 5 till 7. Our Featured Artist for August is Lance Nevard. My serious art education started at about 3-4 years of age, with regular classes in still life painting, for me and my brother Peter, by my mother Annette, an accomplished sculptor and painter, who studied with Moses and Raphael Sawyer, at the New School. I have always lived in a world populated with artists, so creative expression has always been a normal aspect of my life. As a small child I attended the Bernstein Young People’s concerts at Carnegie Hall and spent my weekends wandering either the Metropolitan Museum of Art or the Museum of Natural History. I studied painting and sculpture at Bard College, continuing on for further studies at SUNY at Purchase. My education continues through participation in a rigorous photographic society with a number of renowned professionals, ready to give uncompromising critique. We are delighted to have our monthly First Friday Local Artist and Complimentary Wine Tasting 5 till 7. Our Featured Artist for July is Duane Todman. We are delighted to have our monthly First Friday Local Artist and Complimentary Wine Tasting 5 till 7. Our Featured Artist for April is Jerry Boehm, a Capital District photographer, has been involved with picture-taking for many years, mostly as a hobby. However, recent years have brought a more intense interest in pursuing this activity. He is currently a member of the Photographic Society of America and the Schenectady Photographic Society. Jerry enjoys taking photos while traveling (recently in the South Pacific), but many of his best works have been captured here in New York. He considers himself to be an opportunist, finding interesting subject matter almost everywhere, but the most common themes are landscape and nature. We are delighted to have our monthly First Friday Local Artist and Complimentary Wine Tasting 5 till 7. Award winning photographer and artist, Hillary Raimo seeks to bridge the art of observation and mindfulness of beauty in her work. As the incoming 2018 President for the Bethlehem Art Association Hillary seeks to nurture the local art community by encouraging artists of all mediums to pursue their talents. Hillary works with acrylics, oils and watercolor and has a broad body of work ranging from large abstract canvases to small intimate portraits. Her eye is sought after internationally as a recognized leader in her field. "Our eye and mindfulness for beauty determine the images we find worthy." We are delighted to have our monthly First Friday Local Artist and Complimentary Wine Tasting 5 till 7 Friday February 2nd Featuring Chuck Smith. Happy Hour is served throughout the restaurant 5-7. Come meet him and browse his photography. He has nearly 30 years in the Broadcasting Industry. Over the past few years of watching the industry evolve, it became apparent to him that new technology would become the industry standard. As an Engineer, he recognized the value of UAV’S ( Unmanned Aerial Vehicles ) from the STEM aspect. The first time he saw a UAV or (drone) he was so impressed by this media platform that within one month he had purchased his first UAV, that was August 2014. After a few commercial ventures and a year of research, "Skyblaster Aerial Media" was launched in September of 2015. His mission is to offer unique and never before seen angles to video and still photography. We are delighted to have our monthly First Friday Local Artist and Complimentary Wine Tasting 5 till 7 Friday January 5th Featuring James Rodewald. Happy Hour is served throughout the restaurant 5-7. James is a freelance nature photographer with over thirty years of experience in nature and landscape photography. Although the Southeastern Adirondacks are his current home, he has lived in various places across New York including the High Peaks and Finger Lakes regions and have traveled extensively throughout the United States. His work tends to focus upon places that are wild and untouched by development, often with no signs of humanity. Despite decades of experience he has recently only begun to offer his work to the public. This Fall he launched his new company Nature's Sake Photography, a socially responsible nature photography studio featuring his work. The core principle of this venture is a firm commitment that no less than 10% of the profit from all sales are donated to help fund the organizations that protect the land that was photographed. So far that has included the Adirondack Council, the Lake George Land Conservancy, Riverkeeper and the New York Nature Conservancy. One of Our Featured Artists is back for November!! AMCooper Jewelry. Come meet Carmen and Ashely and shop the beautiful one of a kind pieces. Kim Tateo is an artist, musician, community composter and eternal optimist. A common theme for her work is interconnectedness - to each other as humans and to the Earth. She is inspired by nature and all of the little worlds seen when exploring it. These natural elements and shapes come through in her paintings. She likes to move between releasing her feelings into abstract expressions and creating magical worlds of “lands within lands” which are filled with intentions and wishes for a brighter world; one filled with hope, love and beauty and the little creatures and botanicals are meant as reminders of this. All of her work is meant to evoke a sense of dreaming and playfulness. His Photo "Big Bowman Pond" (featured above) was taken on Taborton Mountain last October. Along with photography Joe finds work doing Faux Painting and is currently working on a project in Saratoga. Friday September 1st 5-7pm We are delighted to have our monthly First Friday Local Artist and Complimentary Wine Tasting 5 till 7 Friday September 1st Featuring Kristin Parsons. Happy Hour throughout the restaurant 5-7. Kristin is an artist with many avenues of self expression. Born in Albany and raised in Latham, NY. Her life consists of spending time with nature, practicing permaculture, and managing a gardening collective that teaches and implements sustainable living. Nature is the ultimate muse, and her goal is to reflect this statement through all of her art. Friday August 4th 5-7pm We are excited to welcome Gene Connors as our First Friday artist! While traveling over 24,000 miles across the country , Gene worked to capture the beauty and splendor he encountered along the way from a unique perspective. Add the fact that he put his work on a variety of mediums , ( canvas , acrylic and aluminum ) and you have a must see experience. Friday July 7th 5pm-7pm We are excited to Welcome local artist Barbara Bentley-Morrill! A native to the Capital District, Barbara Bentley-Morrill is a local photographer. After leaving the corporate world and beginning to work for herself in her own business, she also began working with a local, well-known event photographer. Through this, along with her volunteer work with different service dog organizations, such as Guiding Eyes for the Blind and BluePath Service Dogs for autism, she found her true passion in being able to photograph these amazing dogs along with her own. 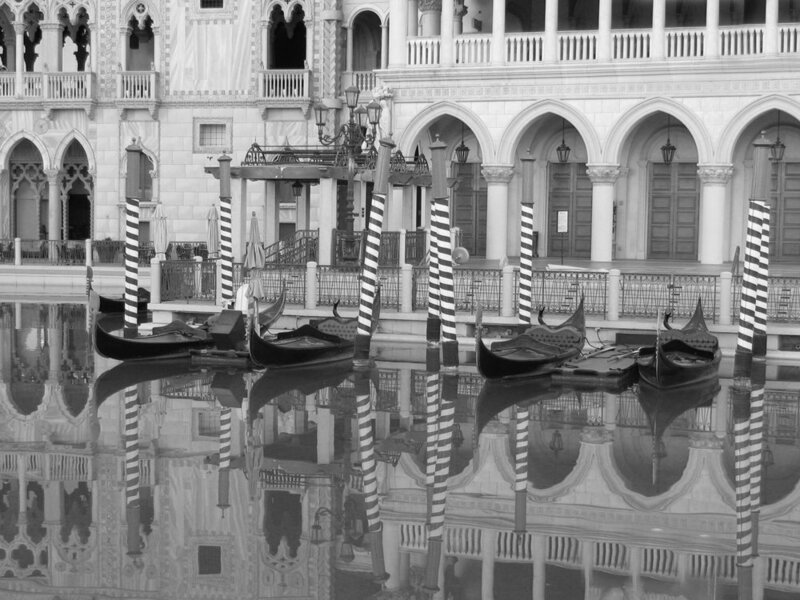 She also enjoys working in black and white photography with the simple things we see in nature and landscapes. Friday June 2nd 5pm-7pm We are excited to Welcome local artist Jason Carnegie! A native to Menands, Jason Carnegie is a local designer and artist. At a young age, he became fascinated with technology and how it can be used to mimic the look of printed art. This fascination led to the exploration of mediums creating an eclectic mix of digital and analog work over the years. In contrast to the work he has done as a Marketing Specialist in the corporate world, his personal work is less structured and more playful and experimental. His only goal when creating is to invoke a reaction from the viewer. Jason received a BFA in Graphic + Media Design at Sage College of Albany. Local Artist, Ashley Cooper, has been paintings for many years and works with many different mediums but prefers acrylics. Recently she has broken into the technique of fluid art designs. Her paintings are inspired from natural flowing features and music, as she dances with the paintings in her hands to get the preferred look she desires. Each piece is made while listening to inspiring music and creating on canvas what each song makes her feel. With her fluid art designs she looks to create an abstract piece of art that will accent a clean and modern feel. Friday April 7th 7:30-9:30: WE are extremely excited to welcome Left Hand Shake for a listening party this First Friday from 7:30-9:30! Left Hand Shake is David Decker and Blaze Sepowski, veterans of such diverse projects based in the Capital Region of New York, as Bang Zoom!, Happy Rhodes, Random Access, Four Walls and Picture This:. Their common vision led them to join forces on such projects as the Vibewranglers, and Bottle of Dog. Most recently, the duo comprised half of the widely acclaimed, regional favorite, the Erin Harkes Band. Their debut release, "8-Track Mind" features the long-time songwriting team providing vocals, as well as all instrumentation on this insightful, thought-provoking 9-song offering. "8-Track Mind" is an eclectic journey through elaborate soundscapes featuring lush melodies, insightful lyrics, and mind-blowing guitars. Selected as "Album of the Year for 2016" by Jim Barrett, long-time host of the eclectic, highly esteemed, weekly radio show Kaleidoscope (Every Saturday, 6 - 8 pm on 88.3 WVCR - The Saint). Barrett described "8-Track Mind", the long-awaited debut album by Left Hand Shake, by saying, "This album should be playing on radio stations everywhere...their originals are clever and memorable...and, their cover of the Beatles' song, "Because", is absolutely masterful...this is one of the finest releases that I've heard in years...you should go get it, ASAP!!" In addition, "8-Track Mind" was one of the albums highlighted by Greg Haymes of Nippertown.com during a year-end recap of the Top 5 Albums of 2016 (during a broadcast of "Northeast Report", hosted by Brian Shields on NPR's Upstate NY affiliate, WAMC). Friday April 7th 5-7: Our Featured artist for April is - Ryan Pooler. Born and raised in Tribes Hill, New York, Ryan Pooler's love of art was encouraged by his grandfather and quickly became his passion. He studied art at the College of St. Rose. He currently resides in Menands, NY with his wife and two dogs. This body of work was inspired by mark-making and created using ballpoint pen and graphite. Pooler is ambidextrous and uses that ability to draw simultaneously with both hands. In his effort to engage the viewer, Pooler strives to create work that tricks the eye making certain aspects move forward and others backward. Friday March 3rd 5-7: Our Featured artist for February is - Lindsay Clark. Lindsay's appreciation and affinity for art began at an early age when she would take things apart, wondering if she rearranged the pieces, how many different things could it be or represent. Her unique perspective and eye for detail have contributed to the meticulous exploration of the subjects of her photography and digital compositions. A commonality of abstraction is prominent in her art; she removes the subject, a tangible object, and deconstructs it from its constituent parts to represent a new thought or idea, rather than its original intent. The presence of a digital hand is notable and intentional, eliciting perfect imperfections. Lindsay is a graphic artist residing in Troy, NY. She received a BFA in graphic + media design at Sage College of Albany. Friday March 3rd 5-7: One of Our Featured Artists is back for January!! AMCooper Jewelry. They have just opened their first shop in Troy but have been selling at Farmers Markets and Pop Up Events previously. Friday February 3rd 5-7: Our Featured artist for February is - Wendy Allen works primarily in oil and acrylic and seeks to call attention to the meaning in everyday items. Simple is best: children's' shoes, farmers' tools, the bounty of the earth and countryside. She has shown her work at Art Saves Animals, Historic Albany's BUILT, the Albany Barn, Saratoga Art Center and the Stockade Art Show. She is a graduate of Union College and lives in Loudonville, NY. Friday January 6th 5-7: One of Our Featured Artists is back for January!! AMCooper Jewelry. They have just opened their first shop in Troy but have been selling at Farmers Markets and Pop Up Events previously. Friday January 6th 5-8 pm: Our featured Artist is Nicole Smith. A native to Menands, Nicole Smith is a local photographer who specializes in landscape, animal and nature photography. Her photos present a unique perspective that harmoniously brings places and objects together. She enjoys photographing old cars and trains, abandoned industrial and residential buildings, antique stands, fall foliage, horse ranches, her loyal canine, mountaintop views and people from time to time. Nicole’s style is to convey a sense of timelessness, distinction and peacefulness. With the wind at her back and her Nikon saddled around her neck, Nicole takes photos that reflect her travels within Upstate New York and throughout New England. Friday December 2nd 5-8pm: One of Our Featured Artists for December is AMCooper Jewelry. They have just opened their first shop in Troy but have been selling at Farmers Markets and Pop Up Events previously. We are lucky enough to have them just in time for Holiday Shopping. Friday November 4th 5-7pm: Our Featured Artist is Karley Goddeau-Stefaniak. 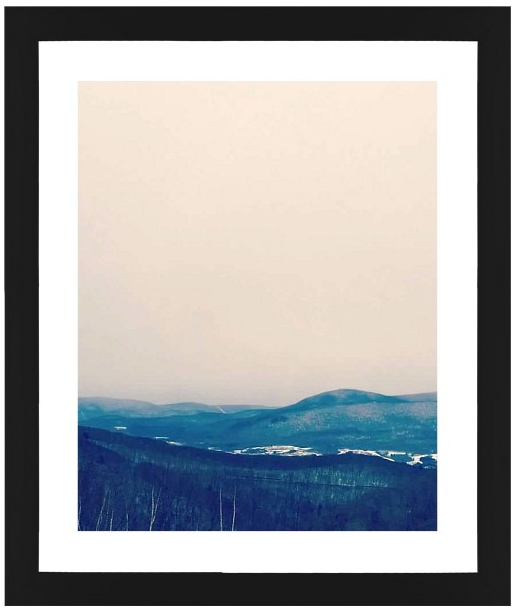 Karley is a 21 year old artist originally from Plattsburgh, NY. She attended Clinton Community College where her work was featured. Karley is very passionate about art. . Her work draws mainly upon concepts associated with realism utilizing a wide range of platforms including charcoal, pencil, oil pastel, oil paint and photography. The fine details, colors, and shading within her pieces evoke a sense of presence through her close attention to human perception. Friday October 7th 5-7pm: Our Featured Artist is Tony Graziano. Tony has been taking photos for the past 7 years. Getting his start in wedding photography, he’s been capturing moments and images of all different kinds. More recently focusing on landscapes and candid street photography, He has come to enjoy all subject matter. His first love in photography will always be his family and the Bonnaroo Arts & Music Festival every year in Tennessee. Meeting People from all over the world and snapping their time at the festival. His mission as a photographer is to show you the world through his eyes, in hopes to find that perfect photo. Friday September 2nd 5-7pm: Melanie Printup Hope is of Tuscarora and European descent and was raised on the Tuscarora Indian Reservation in western New York State. She earned a BFA in graphic design at the Rochester Institute of Technology, and an MFA in electronic arts at Rensselaer Polytechnic Institute. She is an Associate Professor Emerita at the Sage Colleges and has also taught at Banff Centre for the Arts. She received a Rockefeller Foundation Intercultural Film/Video/Multimedia Fellowship in 1996, and has received additional awards and fellowships from the New York Foundation for the Arts, the National Endowment for the Arts, the Andy Warhol Foundation for the Visual Arts, the Jerome Foundation, the New York State Council on the Arts, and the Lyn Blumenthal Memorial Fund. Her biography has been included in Who’s Who Among America’s Teachers, Who’s Who of American Women and The World Who’s Who of Women. Friday August 5th 5-7pm: Our featured Artist for August is: Gene Connors. He is a retired Menands Police Sergeant, trained in Forensic Photography. This provided him a different perspective in scenes from the Desert to the Ocean and more in between. FRIDAY JULY 1st 5-7pm: Our featured artist for July is: Alex Clarey. He is a 28-year-old news photographer who has had an interest in photography ever since he was a child. He has based most of his still photography to local area land marks and landscapes. Focusing on parts of Albany that still remain and capturing parts that have since dissapeared. He puts a distinctive view on every photo he takes. FRIDAY JUNE 7th 5-7pm: Our featured artist for June is Chuck Smith. He has nearly 30 years in the Broadcasting Industry. Over the past few years of watching the industry evolve, it became apparent to him that new technology would become the industry standard. As an Engineer, he recognized the value of UAV’S ( Unmanned Aerial Vehicles ) from the STEM aspect. The first time he saw a UAV or (drone) he was so impressed by this media platform that within one month he had purchased his first UAV, that was August 2014. After a few commercial ventures and a year of research, "Skyblaster Aerial Media" was launched in September of 2015. His mission is to offer unique and never before seen angles to video and still photography. WE are excited to announce that Patricia Loonan Testo will be our first Artist! Friday May 6th.